The Directors of the company have a very positive attitude to health and safety, always endeavouring to ensure the safety of their staff, their clients and any third parties who may be affected. Leading by example both directors have attained the CITB, Supervisor’s Site Safety Training Scheme (SSSTS) certification. This is backed by regular on the job “Tool Box” talks, on any site specific safety matters. The overall safety strategy is based on the company’s Health and Safety manual. The manual includes operational risk assessments and safe working method statements covering all aspects of Spa’s working profile. In addition to daily monitoring by the Directors, an independent health and safety consultancy has been appointed to advise them on all health and safety matters, and as a key role, to carry out regular site visits to monitor the ongoing operational safety. Where a contract requires specific health and safety assessment, (e.g. sheltered housing, communal living premises, work in busy public areas), site-specific risk assessments are undertaken to ensure that safe working practice is in place. 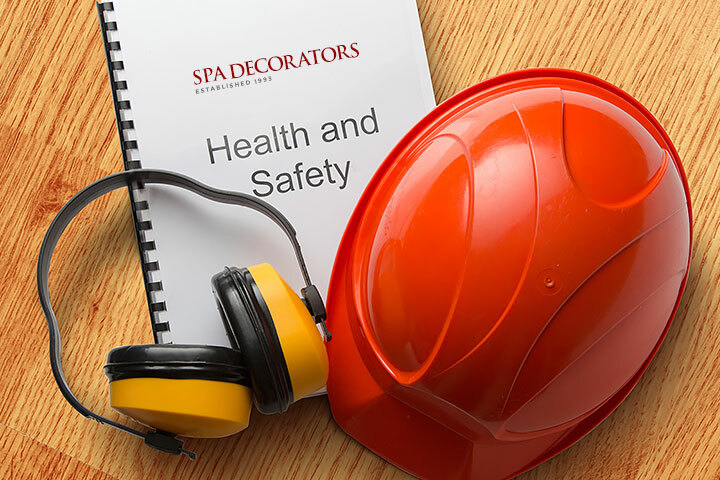 When dealing with Spa Decorators Ltd, the quality of the operational safety of staff, clients and third parties who may be affected, matches the excellence of their workmanship.